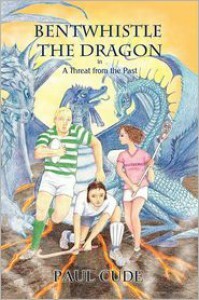 Paul Cude has written a superbly amusing, fantasy novel, Bentwhistle the Dragon, about a wondrous dragon world existing below the present human one. Peter, Richie and Tank are the main dragons in the story who take on human form to infiltrate our supposedly superior, friendly world. We discover secret passages between each world, learn everything there is to know about those fascinating dragons, and take comfort in the fact that they are actually protective of humans and not those bad-tempered, treasure-greedy, nasty reptiles we meet up with in most children's books. This is a delightful and educational adventure -- everybody should make it a point to learn the authentic facts about these lovely creatures -- for children and adults alike.